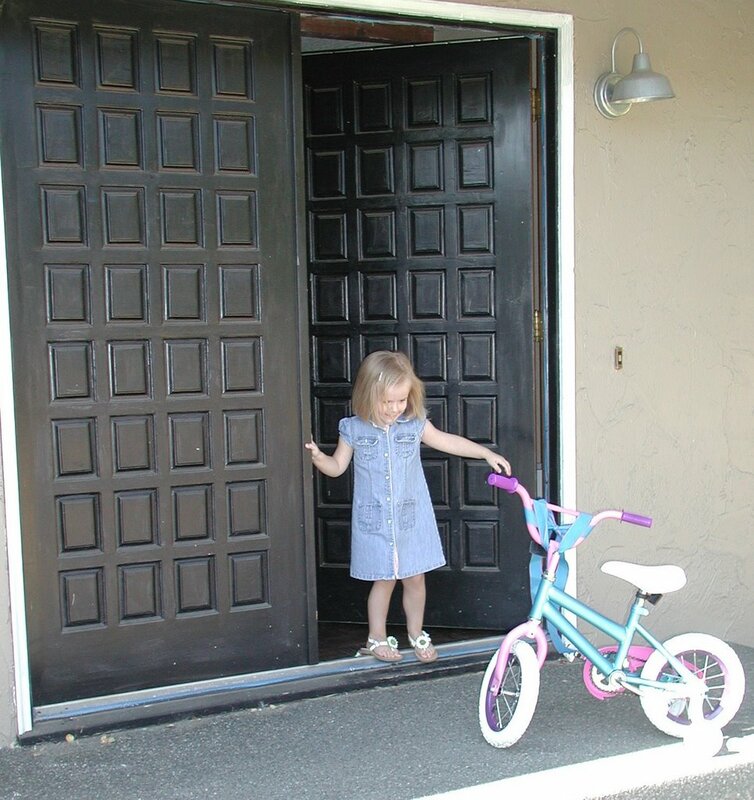 Maggie has been content riding her tricycle like a maniac around our house and driveway for the past year or so, but recently started asking when she could have a real bike with training wheels. She had been watching the Greens ride their bikes and thought they were really cool. We told her that she could have a bike when she turned six – partly because that’s when Sean got a bike and partly because we thought she’d be too chicken to actually ride one. We were all pretty surprised when with just a little encouragement and direction from Boppa, a couple weeks before her birthday she was riding one of the Greens bikes with absolutely no fear. So, we decided to move the bike up a couple of years. 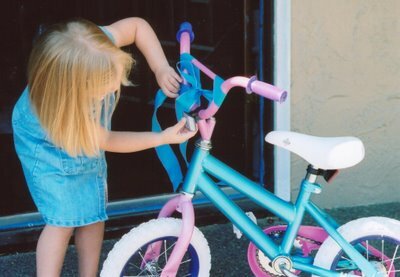 After we reminded her that we had said she had to wait until she was six for a bike, she opened up a package from Boppa and GG that had a bike helmet (with a lovely cat decal on it, no less), handlebar streamers and a basket. 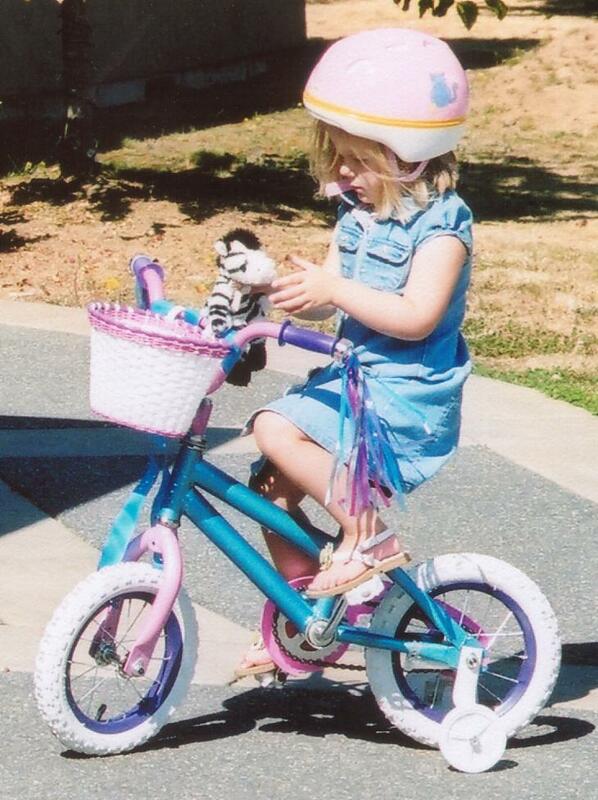 Our sweet child was so excited about the accessories, she didn’t even mind that there was no bike to use them with. As GG and Sean snuck out to capture the moment, I told her that I had left her gift from Sean and I on the front step. Here is the big moment! Once she got her hew-meht on and we attached the basket and streamers, she was off and riding. She would stop occasionally to check on her basket-passenger, a nice little zebra. Calvin, of course, was fascinated by the whole thing and wanted to get down to ride with her. 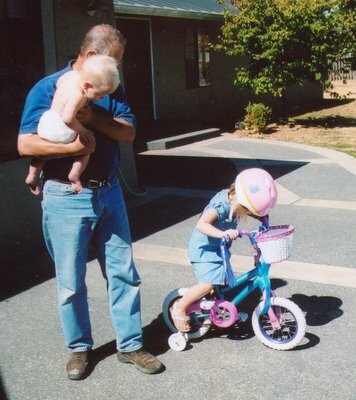 He loved it when she’d yell while riding as fast as she could, as evidenced by this picture. 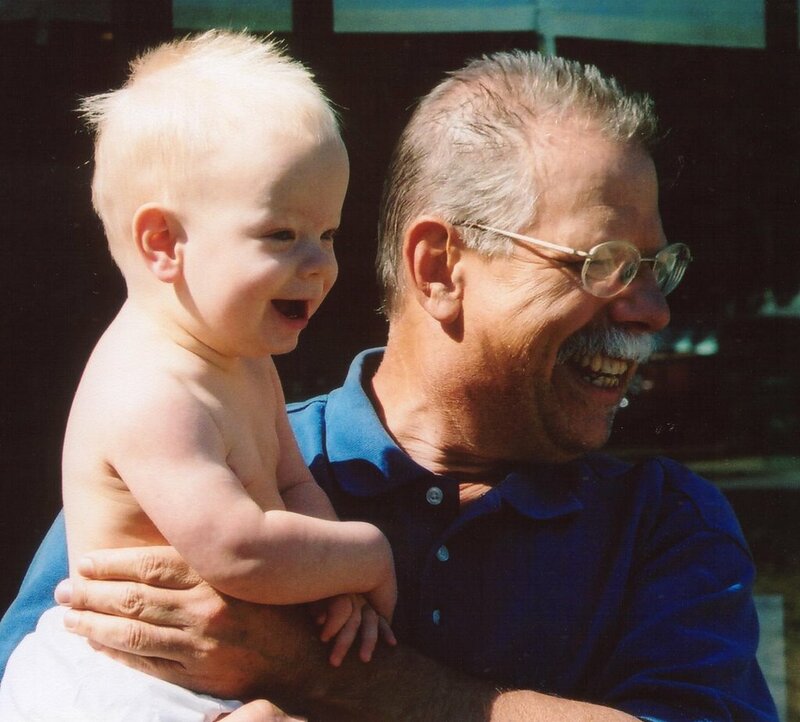 Your dad looks like Teddy Roosevelt in that last picture.